Bad Boy Clothing approached Mad Media about rebranding themselves for the exploding MMA market, but the brand had laid dormant in North America for over a decade. We developed and managed a comprehensive marketing strategy that included an activation plan for some of the most exciting athletes in the sport. We delivered a national print campaign, extensive collateral material, and produced custom HD video content for their website and trade show booth. 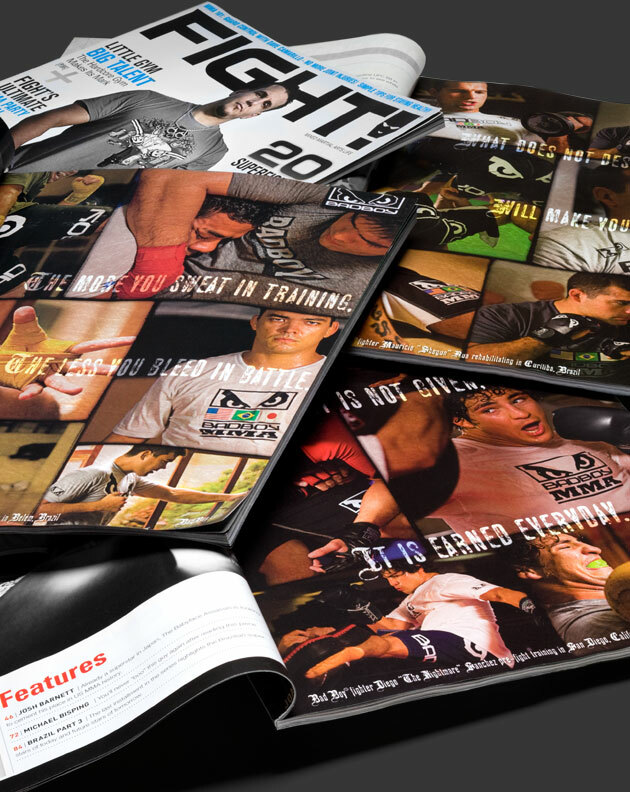 We designed the entire Bad Boy MMA apparel line from concept to finished product, and managed the Bad Boy MMA team of athletes. Bad Boy is now one of the top-five most recognized brands in MMA.